Weather : Temperature in winter can dip to -7 ⁰C in winter, especially in the Dayara campsite. The campsites are mostly open and quite windy. Getting From/To : Barsu is connected from Dehradun and is about 6/7hours by road. We start post breakfast. Once you clear the tree line the walk becomes very rewarding with unending views of the snow-clad peaks. We reach Dayara Bugyal and pitch our tents. We spend the afternoon exploring the area and can hike up to Bakariya top for a panoramic view of the meadows. We can also explore the nearby Gidara Bugyal and walk on the ridge connecting Dayara to Assi Ganga valley. We trek downhill back to Barsu and leave in a vehicle for Dehradun. We reach Dehradun early evening. 1. 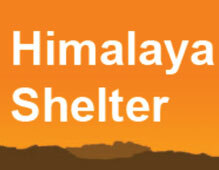 Transport support from and to Dehradun: starting from pickup on day 1 to drop on day 3. 2. Guide and cook fees. 3. Rent for camping equipment. 5. Porter and mule support to carry camping equipment. Please note that personal luggage can be carried by mules and/or porters on chargeable basis. 6. All veg meals starting from day 1 dinner to day 3 lunch. 7. Tented accommodation throughout the trek. 1. Transport to reach Dehradun from hometown. 2. Personal expenses like tips, personal medicines, phone calls etc. 3. Any transport support during the trek apart from what is included above. 5. Personal luggage with mass not exceeding 12 kg per bag per person can be carried by porters/mules @ Rs 250 per day per bag.